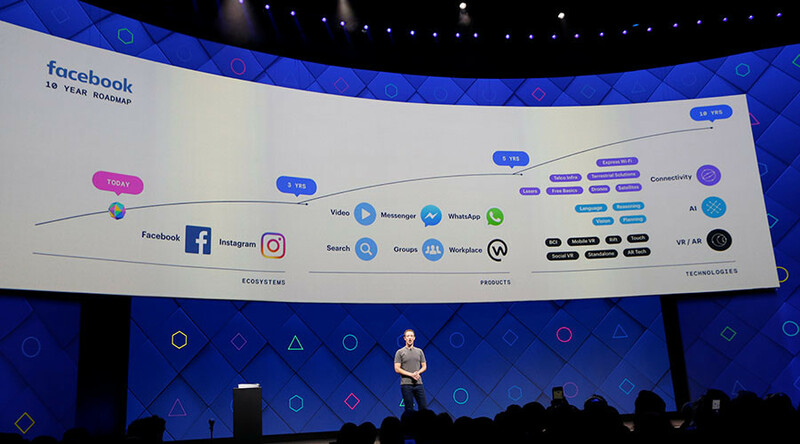 The social media giant announced its intention to create the potentially revolutionary technology at its developer conference, F8, on Wednesday. The far-reaching plans to combine the “convenience of voice” and “the privacy of text” were presented by the head of Facebook’s Building 8 hardware research division, Regina Dugan. The system will be based on optical imaging technology which will track the changes in neuron activity that occurs when we speak and almost instantly convert them into words on a smartphone screen. 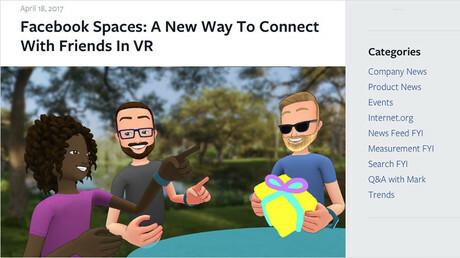 Facebook has set the ambitious goal of developing the silent speech interface over the course of the next two years. Admitting that developing such sophisticated technology won’t be easy, Dugan said the possibility of “making something great” far outweighs the risk of failure. Zuckerberg also pointed out the ‘shortcomings’ of speech as a means of conveying information, comparing it to an outdated phone modem. — RT America (@RT_America) 18 апреля 2017 г. “Our brains produce enough data to stream 4 HD movies every second. The problem is that the best way we have to get information out into the world – speech – can only transmit about the same amount of data as a 1980s modem,” he wrote. Dugan’s team is also currently working on another breakthrough initiative that will enable people to hear through their skin using a special electronic sleeve capable of discerning vibrations. An experiment showcased at the conference on video showed how each type of vibration corresponds to one word. The ambitious goal of devising a system capable of decoding a person’s thoughts at a rate of 100 words per minute has sparked concerns that, along with the information intended for the recipient, some undesirable side thoughts could slip through as well. “It’s not about decoding random thoughts,” she said at the conference on Wednesday, as cited by the Guardian. While the technology will be of major help to people with speech and movement disabilities, some FB commenters argued that its benefit for common people is far from obvious. Some have even suggested that, in the long term, the cutting-edge idea will eliminate the incentive for children to learn how to write. “Slow down on the technology, it’s bad enough children aren’t learning cursive in school, with this they won’t need to learn to write,” Kathy Klein wrote. “Brilliant idea! Except we now have so many people who are unable to write, or sign their names. Now we’ll have those who are unable to write, and type,” Sherry Samaroo said. Meanwhile, the most pessimistic reactions predicted that, rather than facilitating progress, the innovation will actually reverse human development, with potentially disastrous consequences for the world. “I personally feel that inventions like this one will ultimately lead to the human race becoming so lazy or dependent on technology that the world would become total chaos should an EMP [electromagnetic pulse] or something of that nature happen,” Woody Wilde wrote, while acknowledging that it was “a great idea,” provide it was solely used to improve the lives of disabled people.